From the last list, this was the only missing info for after the Au Pair year. Well I’d like to discuss it first in regards to those coming from Kenya. ► Reisepass des Antragsstellers, gültig bis mindestens 3 Monate nach vorgesehener Rückreise und 1 Kopie. In Kenia wohnhafte Nicht-Kenianer müssen über eine Rückkehrberechtigung im Reisepass oder über eine Aufenthaltsgenehmigung verfügen. Diese muss ebenfalls nach vorgesehener Rückreise noch mindestens 3 Monate gültig sein. Der Pass muß mindestens 2 leere Seiten haben und darf nicht älter als 10 Jahre sein. ► Zwei biometrische Passfotos (3,5 cm x 4,5 cm), nicht älter als 3 Monate, heller Hintergrund. ► Nachweis über die Finanzierung des (angestrebten) Studiums und des Aufenthalts in Deutschland, jeweils im Original und in 2-facher Kopie. ● Es muss nachgewiesen werden, dass dem Antragssteller für die gesamte Dauer seines Studienaufenthalts in Deutschland monatlich mindestens ein Betrag in Höhe von 638,– € zur Verfügung steht. ● Verpflichtungserklärung des Sponsors gegenüber der deutschen Ausländerbehörde, für die gesamte Dauer des Studienaufenthalts für alle Kosten aufzukommen, im Original und in Kopie. ● Stipendienzusage, mit Angaben über Dauer und Höhe der monatlichen Leistung. ► Passport of applicant and copy of the same, valid up to a minimum of 3 months after intended return journey. The passport must have at least two empty pages and cannot be older than 10 years. ► Proof of studies already undertaken or school leaving certificate, originals and 2 copies of the same. ► Proof of financial arrangements to cover (intended) studies and duration in Germany, original and 2 copies of the same. It has to be proved, that the applicant shall have at his/her disposal at least an amount of no less than 638 Euros per month, for the entire duration of his/her studies in Germany. In the English version of the application form they include these 2 unclear statements that tend to discourage anyone applying for the visa from Nairobi from thinking of changing their visa into anything else by hinting at applicants having to return home after their language course and not having any possibility to do anything else eg study after their one year is over. Please note:A Language Course Visa cannot be converted into a Student Visa in Germany. If you want to study at a German University right away, you have to apply for a student visa immediately. 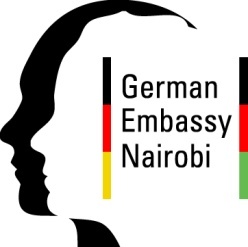 Well this is quite a move considering most Kenyans when they get to the embassy will always prefer to take the english version of the form rather than the german one. Only the rules and regulations in their German form are legally binding. So until they clearly state that studying after the language course is impossible in the german version, the rules shall remain the same ie you can come as a language student and later apply to study at a university in Germany. Another thing worth noting is that language students aren’t allowed to work during their stay in Germany as language students. Later as university students they can always work within the dictates of their visa. Has anyone changed from language course to Uni/Ausbildung recently? Please drop me a line mkenya@mkenyaujerumani.de if you’re willing to share. Ofcourse it will be anonymous.